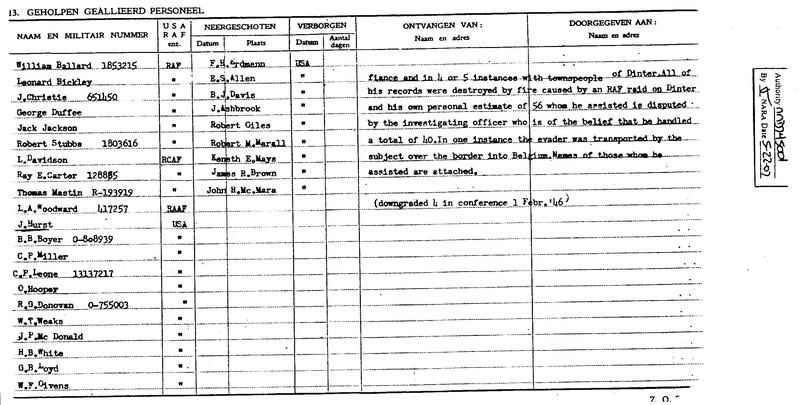 Looking for the escape and evasion record of S/Sgt Harry L Eastman, who was a crew member of Good Time Cholly II and was shot down over France in July 1943, and was hidden by the French Underground in Paris until he escaped over the Pyrenees in September 1943. Go to to the page https://wwii-netherlands-escape-lines.com/research/national-archives-research/escape-evasion-reports-available-on-line/ on my website and follow the instructions in the first paragraph. You will find a 19-page escape and evasion report for Sgt. Eastman that the National Archives has posted on-line.